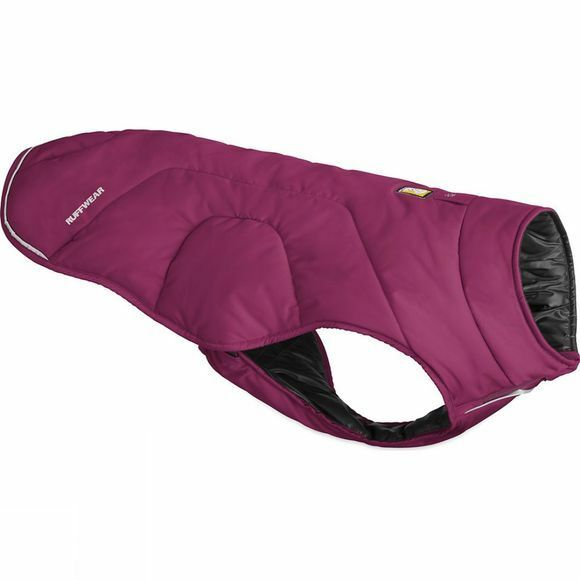 The Quinzee Insulated Dog Jacket from Ruffwear provides weather-resistant warmth in between activities in extreme cold or weather. The Quinzee features sheltered side release buckles for easy on/off and the jacket packs down into its integrated, sewn-in stuff sack. Keep your canine companion warm when you're out in the cold or when you're taking an early morning walk to the coffee shop.